Many of the writers who have recently embarked on familiarisation trips organised by PDOT London has since returned and recently published numerous articles, blogs and guides on their visit to the country. 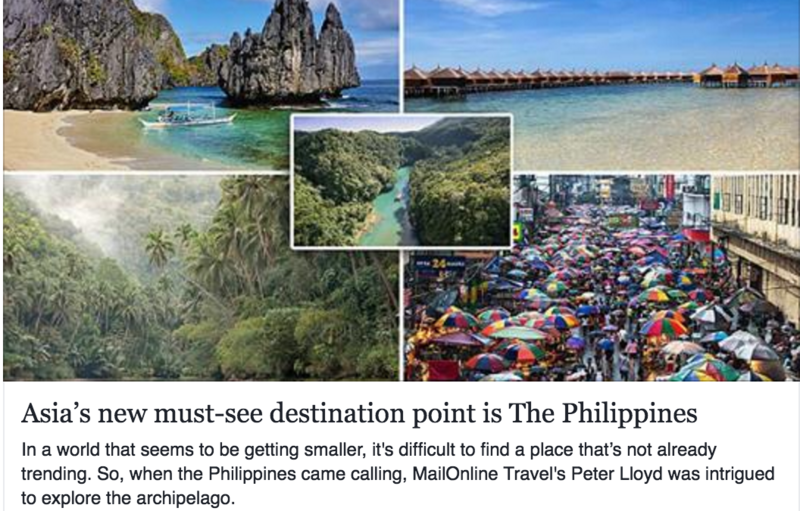 Following the trip last year of Peter Lloyd to the Philippines as part of the press trip with Philippine Airlines (www.philippineairlines.com), he published his article on the destination on Daily Mail last March to reach its 224,934,062 monthly subscribers. Titled, “Done Thailand? Asia’s new must-see destination is the Philippines complete with thriller Manila and 7,000 perfectly-preserved paradise islands”, the article has been shared over 17,000 times. Click here for the article. Next, Elle Croft of the Travel Hack and Kate Wills of the Independent have released their articles on the Philippines on their respective platforms recently. Both have been sent as part of Emirates’ drive to promote their new direct route to Cebu. PDOT organised their itineraries in Cebu and Bohol allowing them to see the whalesharks, tarsiers and dolphins in these locales. 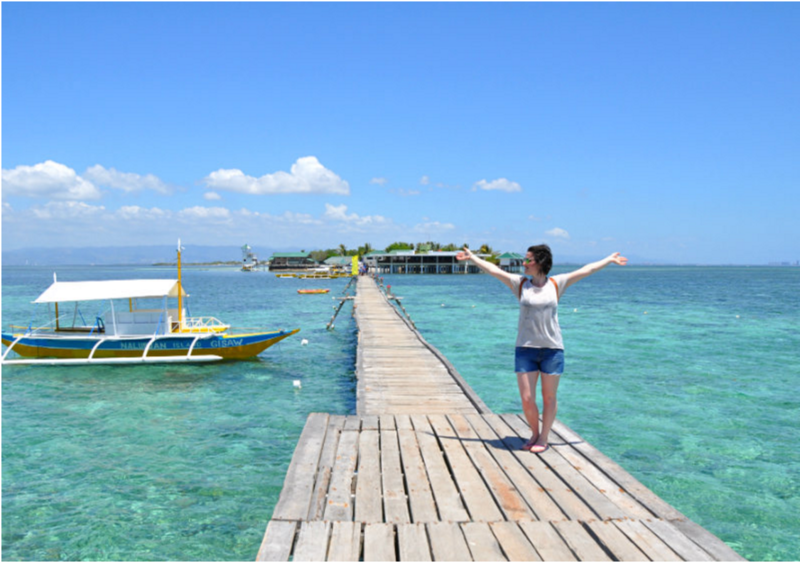 Titled the “A Mini-Guide to the Philippines”, Elle Croft’s article will reach Travel Hack’s 100,000 monthly subscriber base. Click here for the article. The Independent article of Kate Wills, “Travel Guide to… the Philippines” will be read by the publications 3,082,936 users. Click here for the article. Last May, Kate Humble, one of the UK’s most well known wildlife personalities published her article as the headline piece of the Sunday Telegraph’s travel section. Her visit to the Philippines last April was organised by Dive Worldwide (https://www.diveworldwide.com/) with support from PDOT to experience the underwater and over ground attractions of Bohol. Kate’s article, “Kate Humble: Diving for the weird and wonderful in the Philippines” is a triple-page spread which will reach a readership of 5,341,345 readers in online and print. Click here for the article. Last, Philip Hopkins released his guide on Manila, “Thriller-Manilla-Absolutely!” on midlands publication Yorkshire Times following his visit. The primary publication for the region has 1,000,000 unique readers. Click here for the article. More positive publicity for the Philippines is expected as writers, bloggers and videographers come back from the travels to the country so continue to watch this space.